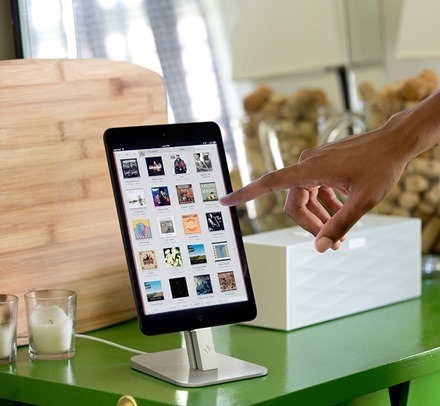 This is the latest cool iPad accessory from the lovely folks at Twelve South – the HiRise Adjustable Desktop Stand for iPhone 5 and iPad mini. These guys make a great range of cases and desktop accessories for iPad, iDevices, and Macs. Your Poetic has unveiled a number of new iPad mini cases this week. Three of their new animal-themed cases have particularly caught my eye – the Lion, Giraffe, and Elephant covers shown above. 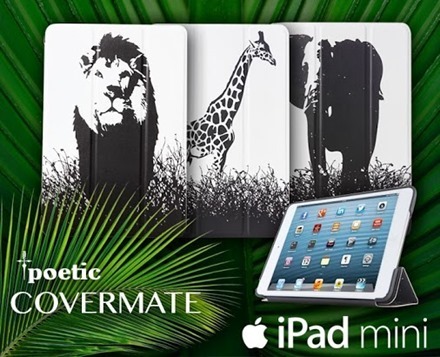 The Poetic Covermate iPad mini Case is a very nice folio case for the iPad mini. The Tree design is extremely handsome and the other designs look good too. It’s nicely priced at the Poetic site and is a real bargain at the prices you can currently buy it for on Amazon. My 10 year old daughter loves that case and finds it gorgeous to use on her iPad mini. I know she’ll love these animal-themed cases too – and have ordered the Giraffe one for her today. These new cases go for $39.95 on the Poetic site, but you can also find them on Amazon for $14.95. I just searched for ‘poetic covermate iPad mini lion’ for example to find the Lion-themed one. Here’s a new style of case for the iPad min that’s caught my eye this week: paper sleeve pulp art covers from a company called T&M. They bring some 40’s and 50’s retro flavor or, as T&M says, ‘retro futurism , science fiction and hair-raising adventure worlds’. They’re made of cardboard and said to offer good protection as well bringing ‘color and humor to the public sphere’. I’m sure that second part is true, and I’m interested to see how good the quality and protection is with these cases. One thing’s for sure here – I don’t think there’s a lot of danger of walking into a coffee shop with one of these on your iPad mini and then seeing somebody else with the same ‘outfit’. I imagine these would be good conversation starters, and good fun if you’re a fan of this sort of retro, pulp science fiction look. Can it increase your typing speed? 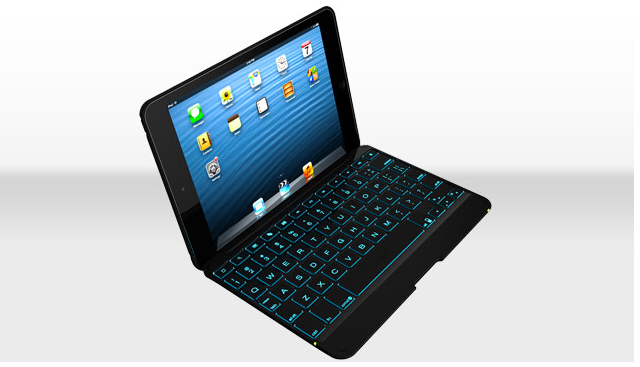 The ZAGGKeys Folio, as the name suggests, is a full folio case plus keyboard for the iPad mini, offering full body coverage. The ZAGGKeys Cover is a cover plus keyboard with a cover that can be locked behind when you’re in reading or viewing mode on the iPad mini. Both of these new keyboard cases claim to offer 30% more typing space than the competition and 135 degrees of viewing via a ‘unique hinge’ that allows for adjusting to best viewing angles for whatever mode you’re in. ZAGG have been among the leading providers of iPad keyboard cases for sometime now, but their ZAGGKeys Mini 9 keyboard case and cover for the iPad mini, released earlier this year, was a very poor effort. I did a review of the ZAGGKeys Mini 9 back in March and gave it a big ‘Not Recommended’ thumbs down, due to some very sloppy design and major flaws. I hope and expect that these new iPad mini cases will be much improved. I may try one of them out once I get through reviewing a few other iPad mini cases I’ve had for a while now. You can check out more details on these two new ZAGG keyboard cases and place orders at the ZAGG product pages for them. 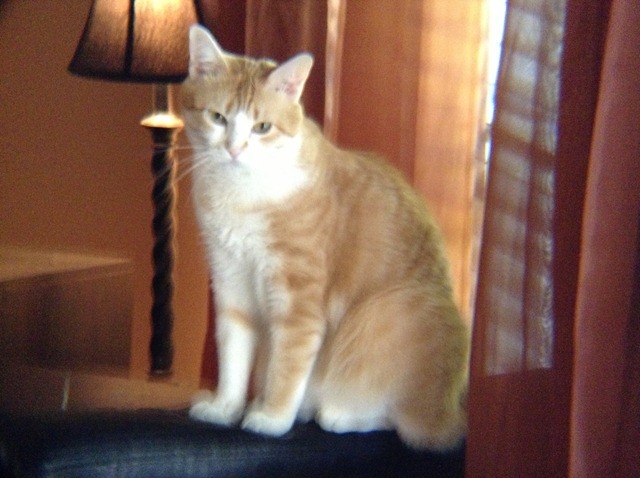 As some of you may recall, I posted a couple weeks back about a rather huge iPad Telephoto Lens from Photojojo. They were kind enough to send me a sample unit for the iPad mini and today I had my first opportunity to give it a quick try. To use the telephoto lens you place a companion back cover on the iPad mini and then screw the lens into a connector port placed around the back camera. I only spent a short while with the telephoto lens, but so far my impression is decidedly ‘meh’. I cleaned the lens of the iPad mini camera and the telephoto lens several times, but everything still looks extremely grainy when I have the big lens on. I’ll spend a little more time with the telephoto lens and share more thoughts if I feel like there’s much else to say about it. A few weeks ago I posted about a $6.95 iPad mini case, and said it was one I just had to see. That case is the Poetic Covermate iPad mini Case. I ordered one on the same day I wrote that post and I’ve been using it for a couple weeks now, and of course I’ve now got some review thoughts to share on it. 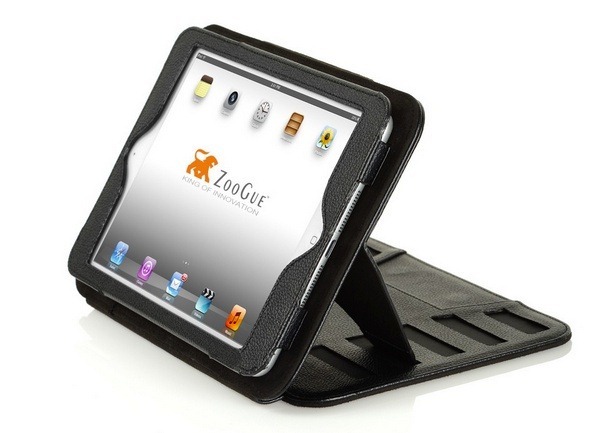 The Covermate iPad mini Case is a folio style case with a polyurethane front cover and a hard poly-carbonate back cover. There are 5 different design options to choose for the cover – Rock, Urban Paint, Butterfly, Love in Paris, and Tree. The one I spotted on Amazon was the Tree pattern and I wasn’t aware of the other choices – so that’s the one I have. The case supports the iPad mini’s automatic sleep/wake feature. At the Poetic site it is priced at $39.95, but as of this writing you can find it at Amazon for $12.95. 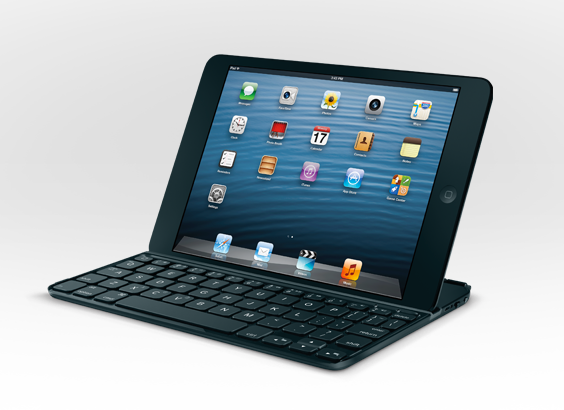 The iPad Case Prodigy is an impressive and versatile iPad case. 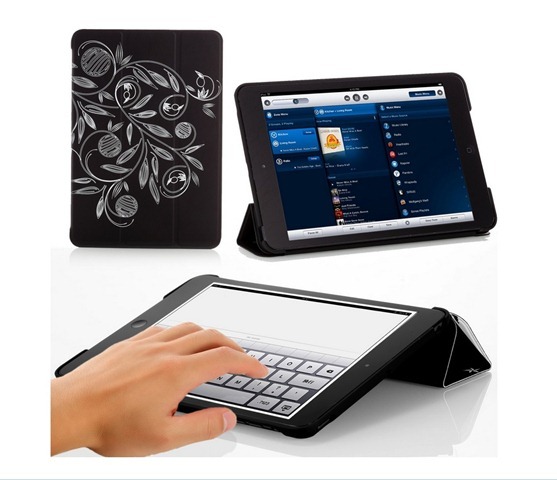 It’s solid and professional looking, offers great protection, and works very well as a stand. It seems like a good fit for business users and especially for anyone who needs a pretty sturdy case + stand combo. Everything about it feels secure and well-made. I was certainly impressed enough with it to immediately order the new iPad mini Case Prodigy when it was released. I’ve had the case for several weeks now and have given it a lot of use. Since I now use the iPad mini a lot more than my bigger iPad, I had high hopes that I would like this case as much as I did the big brother iPad Case Prodigy. The iPad min Case Prodigy is a folio style case for the iPad mini, but one that offers some extra features not found on a typical folio case. For starters, it uses a magnetic kickstand that supports 5 different stand angles. It’s made of relatively thin leather (or maybe faux leather) and has soft, microfiber cloth on its interior. It supports the iPad’s automatic sleep/wake feature and offers access to all the iPad mini’s ports and buttons. The case comes in black only right now and is priced at $49.99. The Logitech Ultrathin Keyboard Cover for iPad mini is another accessory I’ve been looking forward to trying out – especially after my hugely disappointing experience with the ZAGGkeys Mini 9 keyboard case for the iPad mini. — Boy does this case make a good first impression. It looks just gorgeous. I chose a black model and it matches up nearly perfectly with the slate back of the iPad mini. — It feels great too – very light and nicely living up to the Ultrathin name. — The iPad mini is attached and detached from it easily – it works almost like a Smart Cover in this respect (and supports automatic sleep/wake). — The iPad mini also slots in nice and secure to the built-in stand that also uses magnets. 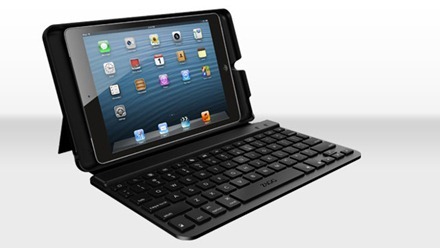 The ZAGGkeys Mini 9 is a new iPad mini keyboard case and cover combo from the team at ZAGG. In the past, ZAGG keyboard cases have been my favorite for the iPad, largely due to their excellent keyboards with generous key spacing. 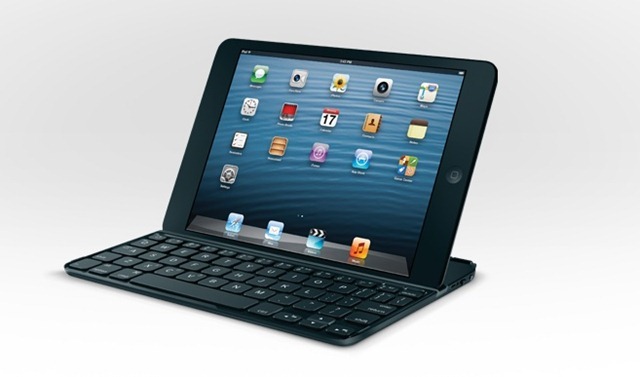 For the iPad mini ZAGG recently released two variants of the ZAGGkeys Mini – the ZAGGkeys Mini 7 and Mini 9. The Mini 9 offers a standard sized ZAGG keyboard, the Mini 7 has a ‘compact’ keyboard layout. I had been looking forward to seeing ZAGG release a keyboard case for the iPad mini and eagerly awaited the arrival of my ZAGGkeys Mini 9 (which I’ll just refer to as the Mini 9 from here on) – and unfortunately it’s been all downhill and disappointment ever since it arrived on my doorstep. 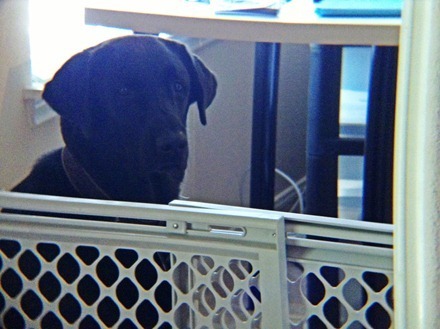 It comes in black or white models. I ordered the black. The Mini 9 goes for $89.99 directly from ZAGG. 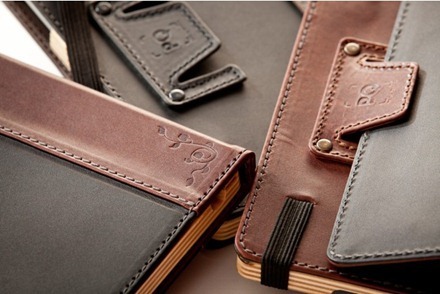 Pad & Quill are one of my favorite iPad case makers. They make some beautiful, handcrafted cases right here in the USA – like the elegant Graduate Edition for the iPad 3 that I reviewed last year. The Aria is constructed with American Top Grain leather, robust stitching, hand finished wood and our signature ‘bookmark’ The spine wrap cleverly disguises a crease that allows the case to prop in multiple angels! Magnetic On/Off feature wakes and puts to sleep your iPad… by closing the book!